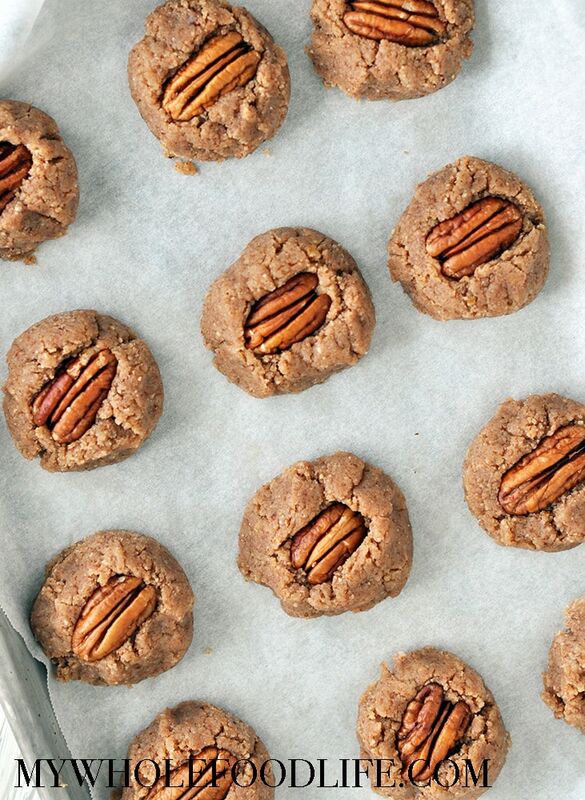 In a food processor add the pecans and blend up into a fine consistency. Then add the remaining ingredients and blend until a dough forms. 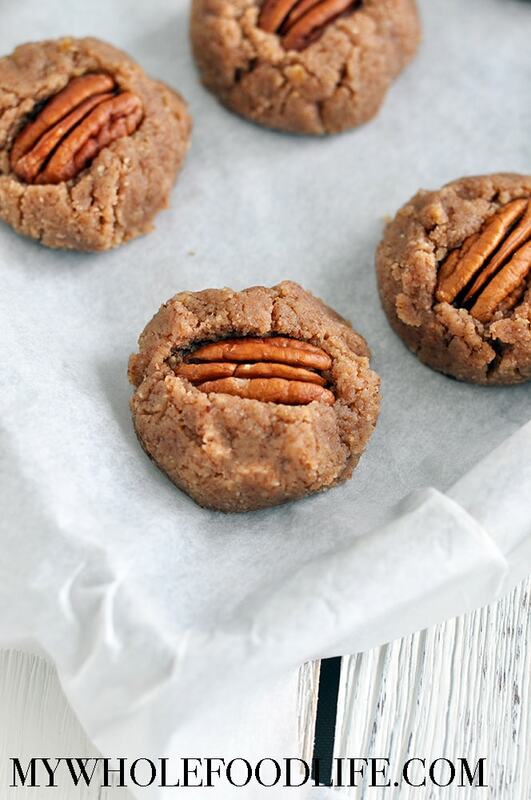 Press a pecan into the tops of each cookie. Place in the fridge to chill for a few minutes. What is coconut butter and how is it different from coconut oil? What can I use instead of coconut butter? I cant have anything coconut! Hi! Any chance I can get this recipe in grams? I followed it exactly but something must be wrong. Thank you! 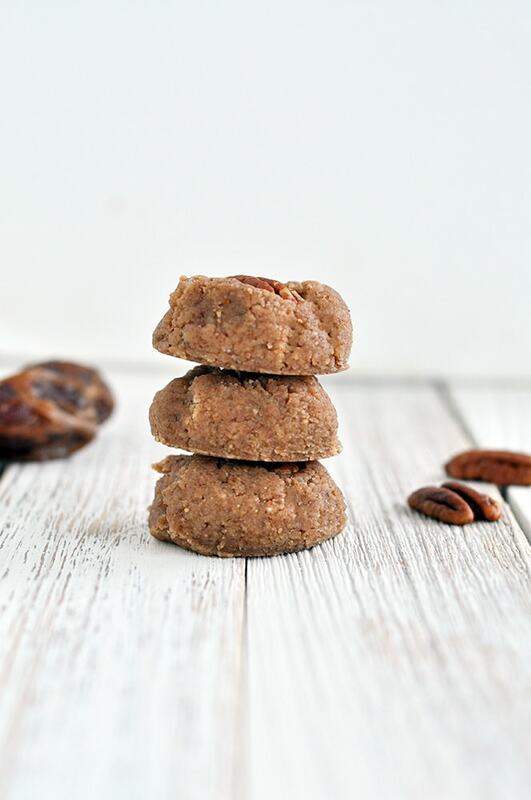 Pingback: 50 Healthiest and Most Delicious Holiday Cookie Recipes! I made coconut butter last week and went to make this tonight and the butter was hard. I scraped it and used as is and they worked but is the butter suppose to get hard? First time making it. It was smooth and liquids when I made it. Sometimes it can harden overnight. To fix that, just place the jar in a bowl of very warm water. It should soften right up.